The only thing he can advise on is making your name a valid domain. 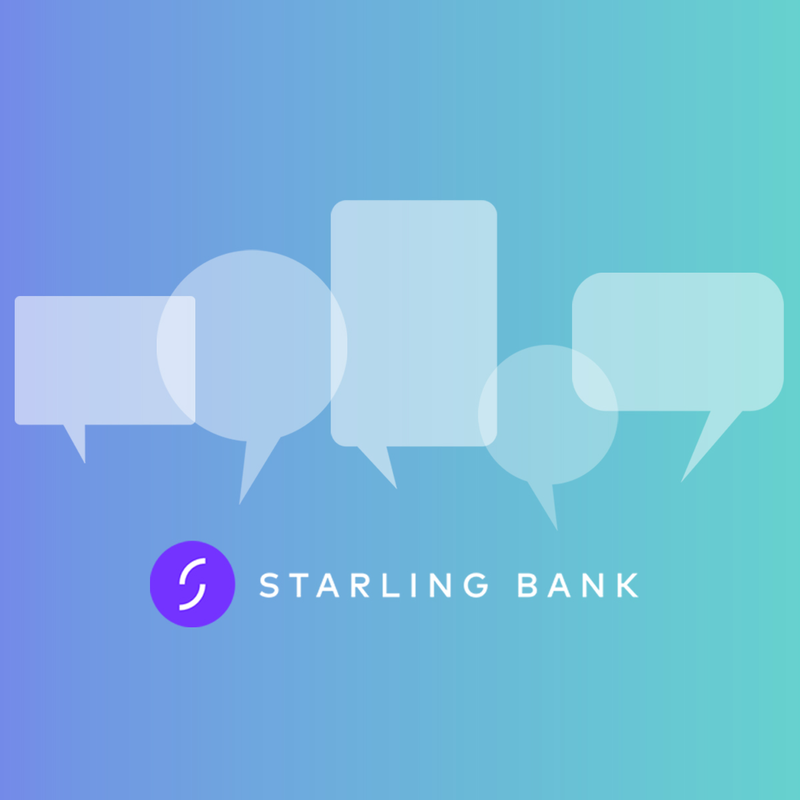 The Starling Bank Community is a space for you to share bright ideas, give feedback and chat about your interests with a likeminded community. In their forums they said they are targeting end of July for Apple Pay support. I hope Monzo gets out with a lot of this stuff first, as Starling are stealing a bit of a march on us! Starling are stealing a bit of a march on us! I’m curious to know what prompted Tom and others to leave starling and create Monzo. Has this ever been publicly talked about? Has this ever been publicly talked about? Thanks. Yeah I’d spotted the FT article. It would be interesting to know because on the face of it Monzo and Starling look almost identical in what they are trying to achieve. its not a good look losing all these top bods. it also cant be a coincident that these top bods have left. i smell a fish. It would be interesting to know because on the face of it Monzo and Starling look almost identical in what they are trying to achieve. It would! If I had to guess I’d say it’s probably the things that are most different about their two approaches - transparency, engagement with users & their tone (+ potentially, technology) - that caused the disagreements. I feel I can relate to the Monzo team & that they share my values a lot more than Starling so if I was Tom, I’d be pretty frustrated if I felt that they didn’t understand them. In my opinion, those things are going to be pretty critical for Monzo’s growth, although as we’re seeing, Starling are starting to do a pretty good impression of Monzo now. @alexs hits the nail on the head here - I have a starling account and it’s fine, but it doesn’t enthuse me like Monzo does. I feel Monzo have ideals that are aligned with what I want, I simply don’t get that with startling, they are just a modern bank account. To be honest I think both accounts are similarly aligned its just the marketing and styling is a little different. In the long term, we are already “the converted”, for them to survive long term they need to convince the masses that they are credible and can be trusted with their monthly pay cheque and I think that will be a tougher sell. Otherwise we could see Monzling or perhaps StarZo once Tom and his counterparts at Starling move onto their next big life projects. i agree @Smallhorse its similar to android and iOS. they essantially do the same thing but the approach is different (supported by the philosophies).